Euro-MOTOR is a European collaborative project dedicated to discover new causative and disease modifying pathways to pave the way for novel therapies for Amyotrophic Lateral Sclerosis. The full name is European multidisciplinary ALS network identification to cure motor neuron degeneration. 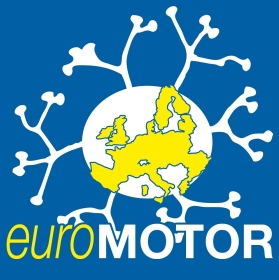 Researchers from 15 different institutes in Belgium, France, Germany, Ireland, Italy, the Netherlands and the United Kingdom participate in Euro-MOTOR. This project aims to elucidate ALS disease mechanisms and common causative pathways by a comprehensive systems biology approach to generate a robust and well validated ALS model. This in turn may provide validated targets and target combinations for the development of novel therapeutics. The last Euro-MOTOR meeting was held on Friday 12 September 2014, and was hosted by Prof. Orla Hardiman at Trinity College in Dublin, Ireland. In the meeting the ten work packages were discussed. One of the work packages is the clinical coordination to establish a European-wide network of standardized population-based registries. The researchers are constructing a large database of clinical and lifestyle information of people with ALS across Europe. Much progress has been established since the start of the project in 2011. The ALS centres in the Netherlands, Dublin and Turin are already using the same questionnaires and database registry for the clinical and lifestyle information of ALS patients and controls. These questionnaires include risk factors such as occupation, sports and nutrition. The power of epidemiological analyses is much larger now that the data of ALS patients and controls from these three centres can be combined. By including patients from the different European ALS centres in the analyses, Euro-MOTOR enhances the power and promise of ALS research. Other work packages focus on, amongst others, finding new genes that cause familial ALS, lab research with IPS cells and the generation of a computer model. Finally, all these data are to be integrated in a robust computational ALS model, which should be validated by applying it for the development of novel therapies. This project has received funding from the European Community’s Seventh Framework Programme (FP7/2007-2013) under the Health Cooperation Programme and the project Euro-MOTOR.